You Need to Visit the Amazing Stranahan House in Fort Lauderdale! The next time you travel to Florida, you need to visit the amazing Stranahan House in Fort Lauderdale. This historic home, which was built in 1901, was home to Frank and Ivy Stranahan. Today, the Stranahan House is a museum that offers daily guided tours and special events throughout the year. While you’re planning your getaway to Fort Lauderdale, we encourage you to download our Fort Lauderdale Vacation Guide. In addition to the Stranahan House in Fort Lauderdale, our free guide highlights tips on other interesting places to visit, outdoor recreation, and annual events. With our free Vacation Guide, your planning time will be cut in half and you’ll be traveling the area like a local in no time! Historic Stranahan House in Fort Lauderdale Is a Great Place to Tour! The Stranahan House is a beautiful place to visit on the New River in Fort Lauderdale. Thousands of visitors flock to the house each year for their daily guided tours. Tours are offered seven days a week at 1:00 p.m., 2:00 p.m., and 3:00 p.m. Each guided tour can last anywhere from 45 minutes to an hour. The house is a beautiful sight to see and is the oldest surviving structure in Broward County. Do you believe in ghosts? You might after you visit this haunted house in Fort Lauderdale! It is said that six different ghosts can be seen and felt around the Stranahan House. Frank, who took his own life in 1929, has been known to watch over the staff and has been seen jumping into the river. Others have encountered strange occurrences like cold and warm sensations, books being thrown on the floor and candy being found in the attic. The Mad Hatter’s Tea Party is a Stranahan House event that takes place each March and is great for adults and kids. Guests are encouraged to come dressed in festive hats and ready for a good time. There is live entertainment, sweet treats, and raffles. Weddings at the Stranahan House can be either small and intimate or large and festive. With the beautiful views of the New River and two wrap-around porches, the setting is quite lovely for saying “I do.” Up to 100 guests can be seated in their outdoor space. Held each April, the Annual Pineapple Jam offers tropical treats and live music to guests. This event benefits the education and historic preservation programs at the Historic Stranahan House Museum. The Victorian Christmas event features plenty of festive happenings, like the Holiday River Tour. The house is decked out in Victorian décor, crawling with costumed guides, and brimming with live entertainment. The ride down the river is a fantastic way to view the homes decorated with twinkling lights. The tour costs $30.00 per person. 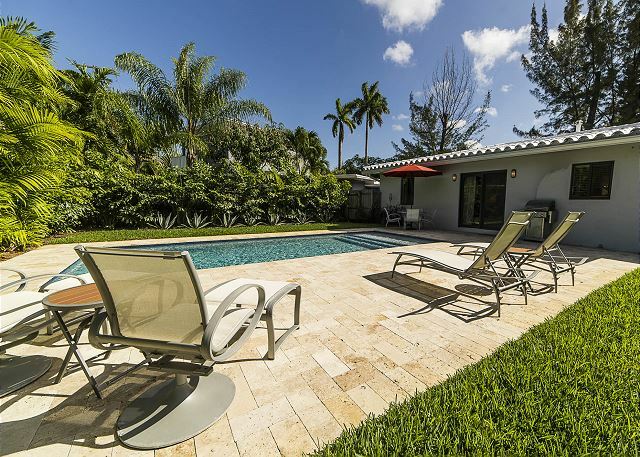 When You Travel to South Florida, Relax in a Private Vacation Rental! No need to stress about where to stay on your beach getaway. Fort Lauderdale Stays offers affordable vacation rentals ranging from one to five bedrooms. While you travel, there’s no need to leave your furry friend at home, either! When booking your reservation, be sure to ask us about our pet-friendly rentals. One of these is the Wilton Retreat, a two-bedroom property that resembles a tropical oasis complete with Floridian foliage and a heated pool. This beautiful home is just one example of the luxurious rentals we offer here at Fort Lauderdale Stays! Ready to book your perfect home away from home in Fort Lauderdale? Check our availability today and start planning! We look forward to hosting you on your next getaway. During your visit to the Stranahan House in Fort Lauderdale, you might also be interested in local shopping, Fort Lauderdale nightlife, and great seafood restaurants.